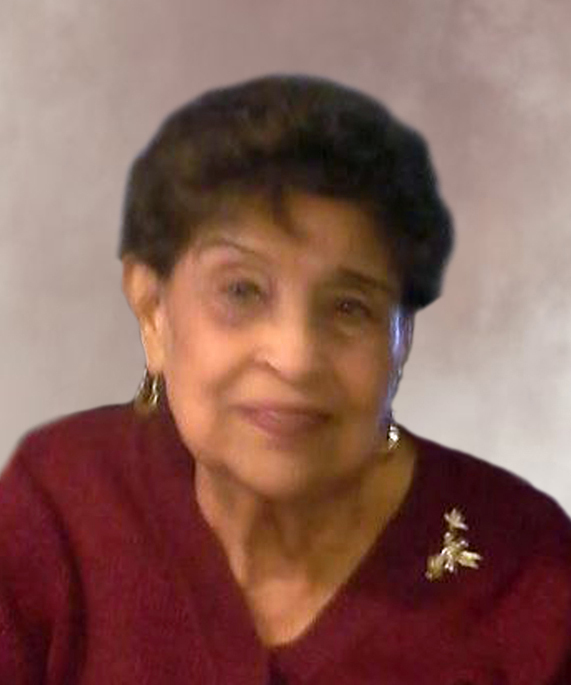 Loving greetings to our family, relatives, and friends as we announce the passing of our beloved mother Romelia Renteria at age 87. A lifelong resident of Lordsburg ‘Romi’ as she was lovingly known passed on peacefully Monday April 9, 2018 at Mountain View Hospital in Las Cruces, New Mexico with her three daughters Dora, Barbara, and Esther at her bedside. Our Romi was born in Santa Clara, New Mexico on October 12, 1930 to Salvador Espana and Julia Holguin. Mother was married for nearly seventy-one years to our father Manuel V. Renteria as of June 15, 1946 and reared our family of six children including a baby boy who died at birth. Our family includes Dora Martinez (Jesus), Barbara Arredondo (Jimmy) both of Lordsburg; Esther Orona (Joel) Chandler, AZ; Manuel Renteria Jr. (Donna) Las Cruces, NM, Jimmy Renteria (Lizzy) Tucson, AZ, and our ‘little angel’ David Renteria. Our extended family includes our mother’s brother-in-law Ernesto ‘Neto’ Renteria (Ernestine), two sisters-in-law Lila Holguin and Bessie Renteria, and two brothers Henry Holguin and Pat Martinez (both deceased). From our immediate family our mother has 10 grandchildren, 20 great-grandchildren and numerous nephews and nieces. Our ‘Romi’ throughout all her years was dedicated and caring to everyone in our immediate and extended family and a loving ‘nana’ to all the children and young adults born of the family marriages. Our mother was a lifelong member of St. Joseph’s Catholic Church as well as an active member of the Lordsburg Elks Lodge along with our father Manuel for many years. She was co-owner of the Cash and Carry convenient store until her retirement and earlier employed at the former Hidalgo County Hospital, Saucedo’s Super Market and Kelly’s Liquor Store all in this hometown. Services will take place Friday, April 13, 2018 at St. Joseph’s Catholic Church include a viewing at 9AM, Holy Rosary led by Mrs. Alice Ramirez at 10AM, Catholic Mass of the Christian Burial celebrated by the Rev. Jude Okonkwo at 11AM. Interment will be at Shakespeare Cemetery following the Mass with a funeral reception at the Lordsburg Special Events Center thereafter. Serving as pallbearers will be: grandsons: Dr. Michael Orona (Alexandria, VA.), Roman Orona (Chandler, AZ), Jay Arredondo (Silver City, NM), Manny Renteria III (Las Cruces, NM), Ruben Renteria (Denver, CO), Nicholas Renteria (Safford, AZ), and nephew Armando Martinez (Silver City, NM). Honorary pallbearers traveling include Felix Holguin, Freddy Garcia, and Anthony Renteria, and Rene Saucedo and Richard Renteria of Lordsburg.